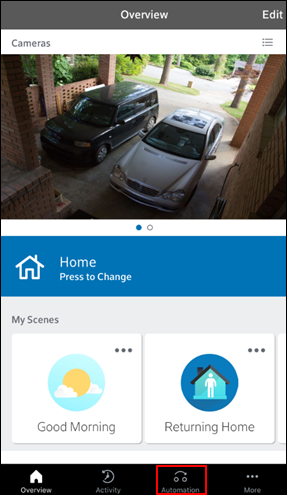 Cox Homelife automations allows you to control all your Homelife smart devices automatically. There are two types of Homelife automations, Rules and Scenes. Scenes let you control multiple devices at once, but must be manually activated. 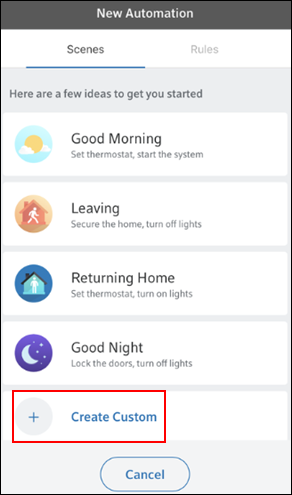 Follow the steps below to create a scene to control your Homelife smart devices. From the Overview screen, tap the Automation menu. From the Automation screen, tap the Create Scene button or the + icon. On the New Automation screen, a list of ideas displays to get you started. To create a new Scene, tap Create Custom. The screens walk you through each step to setup a new Scene. As an example, follow the steps below to set up a Bedtime Scene. 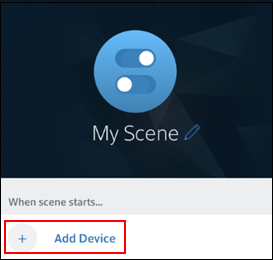 From the My Scene screen, tap Add Device to begin adding your devices and how they will function. For your Bedtime Scene you may want to select the following devices and actions. After selecting all of your devices and actions, tap Save. To create a name and icon for your Bedtime Scene, complete the following steps. Tap the blue pencil / edit icon next to My Scene. From the Edit Scene Details screen, in the Scene name field, enter Bedtime. 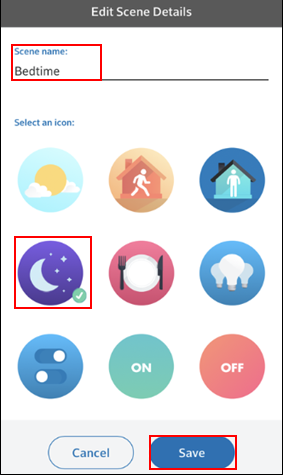 In the Select an icon section, tap on the icon you would like to use for your Bedtime Scene. From the Bedtime Scene screen, tap Save. To activate the Bedtime Scene, complete the following steps. Tap on the Automation menu. 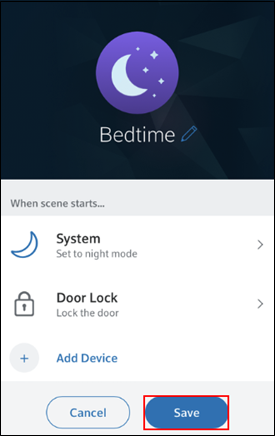 From the Automation screen, tap the Bedtime icon. A checkmark displays over the icon to indicate the Scene has started. Note: Scenes cannot be manually deactivated. Each Scene runs until another Scene is activated, a Rule is triggered, or the devices that are active in your Scene are manually adjusted. To edit a Scene, complete the following steps. From the Automation screen, in the My Scenes section, locate the Bedtime Scene icon. Tap the three dots in the upper right corner of the Scene icon. 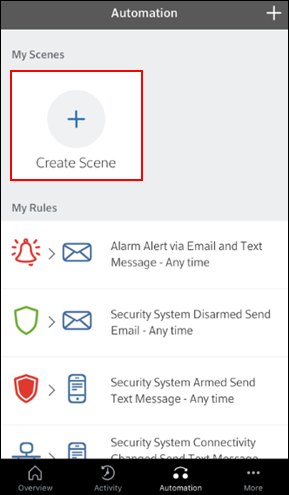 From the Bedtime Scene screen, edit the actions you would like to change or tap Remove from Scene to remove the action from the Scene.